It’d new to me, Nikon’s GP-1 microsite. It’s pretty cool with good info and if you’re new to GPS, geotagging or the technology, it brings you up to date pretty fast. 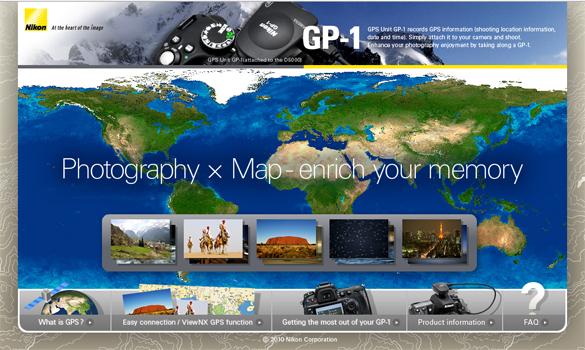 It also shows you how to use the GP-1, Nikon View to create custom maps showing others your travels. I’ve seen my friend Scott Diussa use this in his shows and it was cool enough I loaded ViewNX just so I could create the same thing. Check it out, knowledge is a good thing!